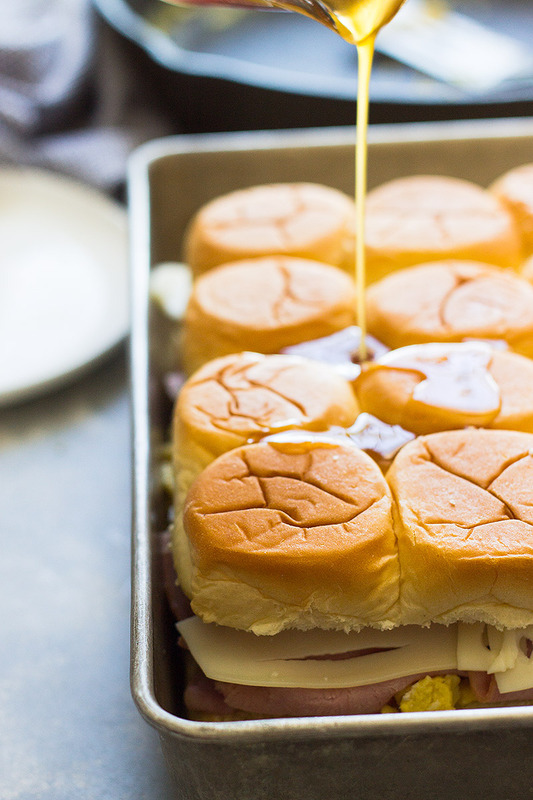 Breakfast sliders are an easy brunch or back to school breakfast idea! 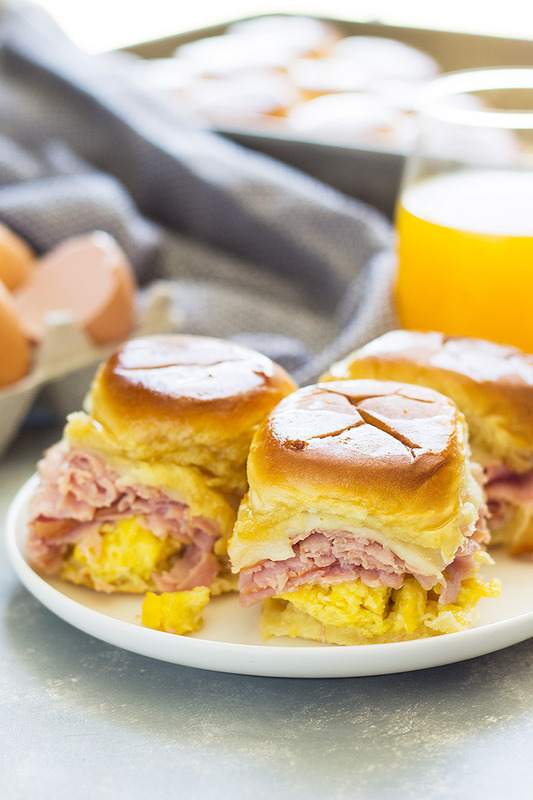 This Ham and Swiss Breakfast Sliders recipe is kid-friendly, delicious and makes a quick breakfast! 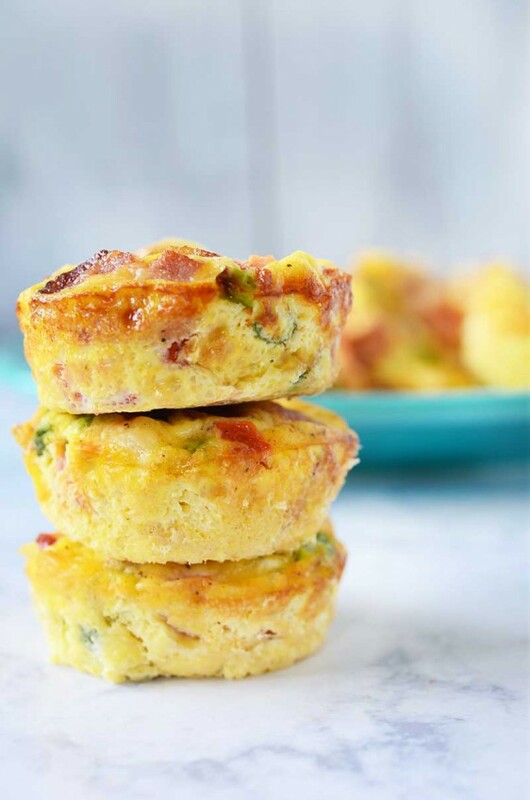 So, I’m always thinking of easy breakfast recipes that will satisfy my kids appetites and keep them full. That can be a tall order some mornings! 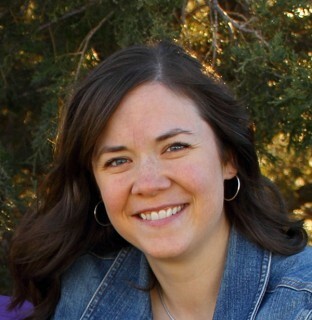 Most of the time they want the works; pancakes, eggs, bacon….. well, that’s a little hard to cook every single morning and make it to school on time. 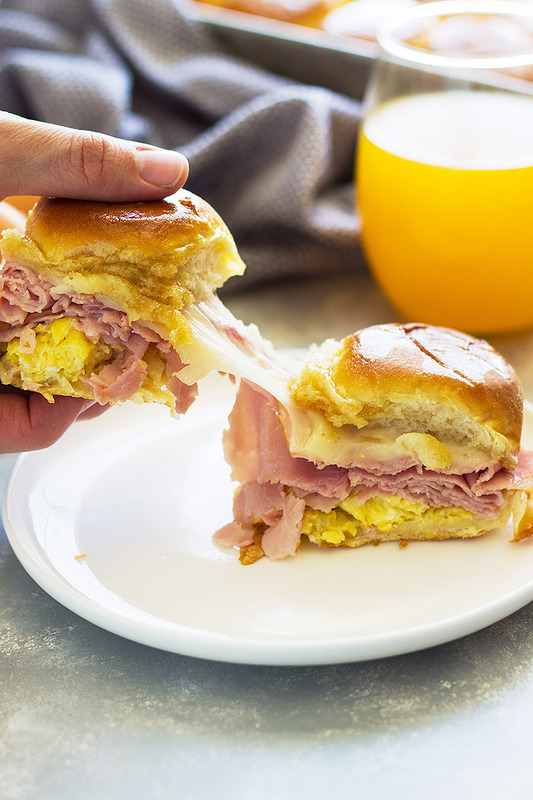 That’s where these easy ham and Swiss breakfast sliders come in handy!! 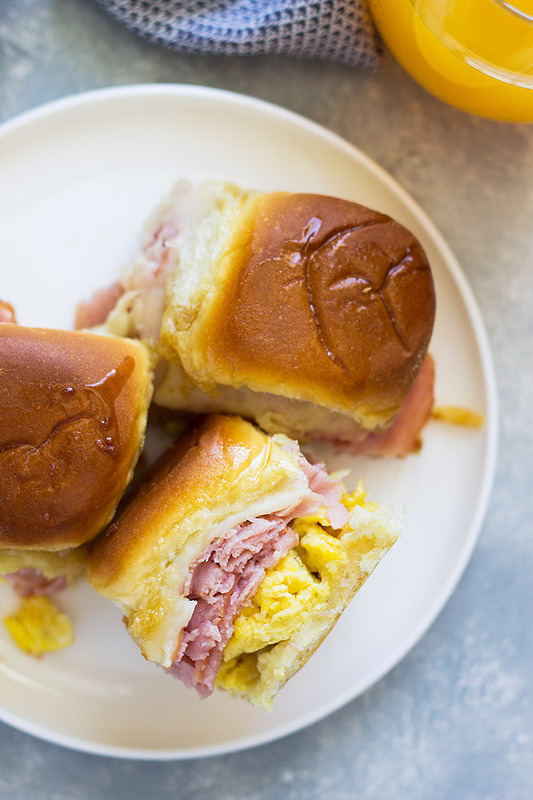 They don’t take all morning to make, and ham and Swiss breakfast sliders make great leftovers! 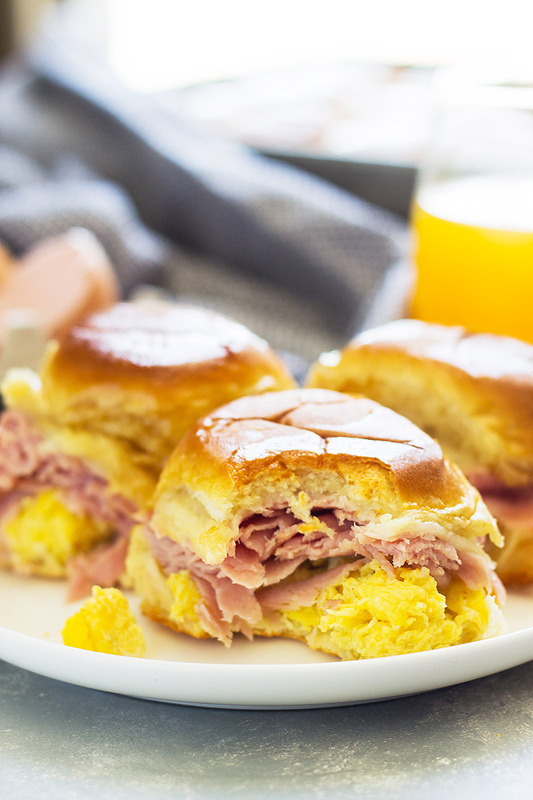 These breakfast sliders are piled high with softly scrambled eggs, thinly sliced ham and Swiss cheese. Then to make them even more enticing, drizzle them with maple syrup for that perfect sweet and savory combo! 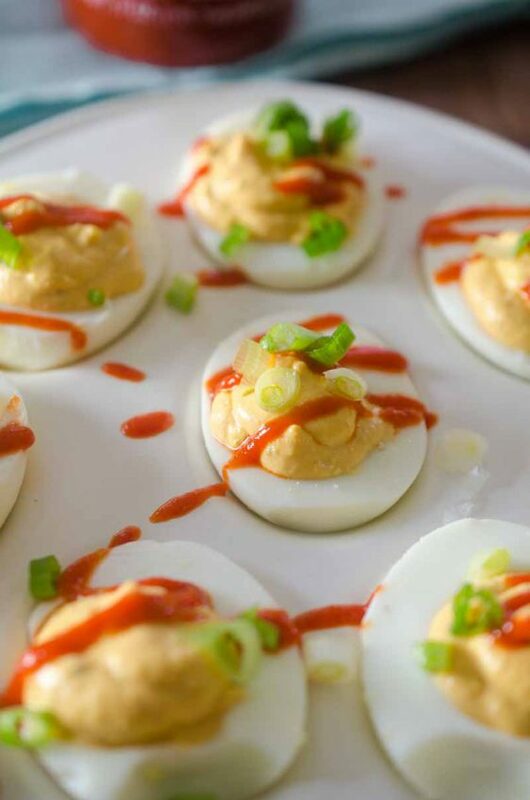 Bake them in the oven for 15 minutes to make them warm and gooey, then devour! I promise you these won’t disappoint! As I mentioned earlier, breakfast sliders make great leftovers, just simply reheat. You can also individually wrap these sandwiches and freeze them for easy on the go breakfasts! Preheat oven to 350 degrees F. Lightly grease a 9x13 baking pan and set aside. Cut rolls horizontally and place the bottom half of the rolls in the prepared baking pan, set aside. 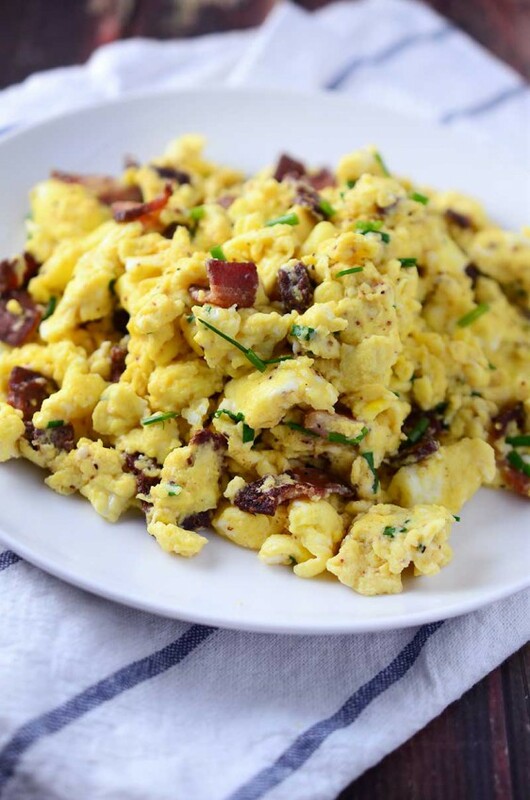 In a large skillet scramble eggs over medium low heat. Leave them a little wet to prevent them from drying out while baking. Spoon the eggs over the bottom half of the rolls. 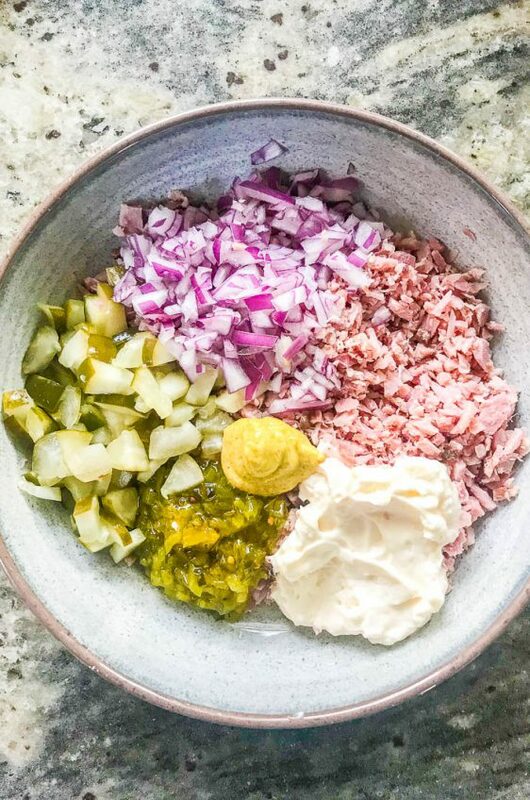 Top with ham then cheese. Place the roll tops on the cheese. In a small dish combine the maple syrup and melted butter, pour over the tops of the rolls. Bake 15 minutes or until warmed through and the cheese is melted. This will surely be a hit with my kids! Perfect weekday breakfast. 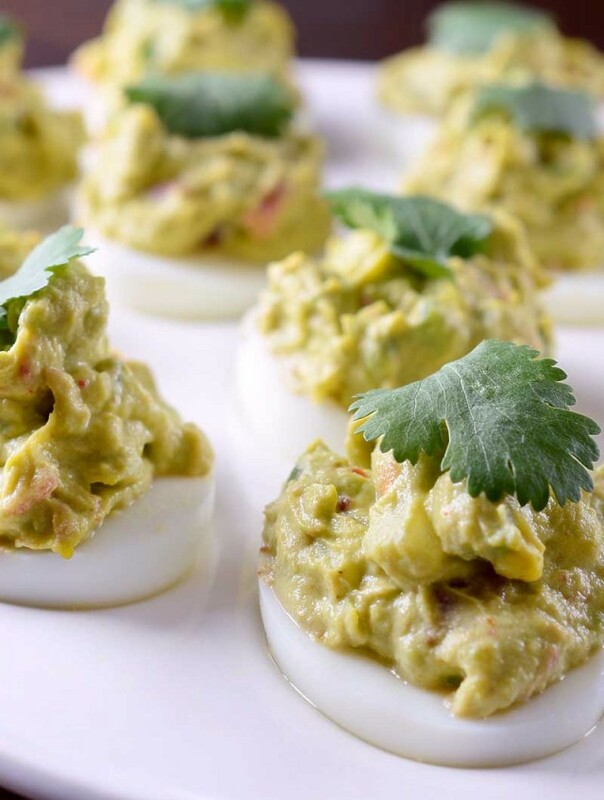 I think I could eat these every day for breakfast and not get tired of them! 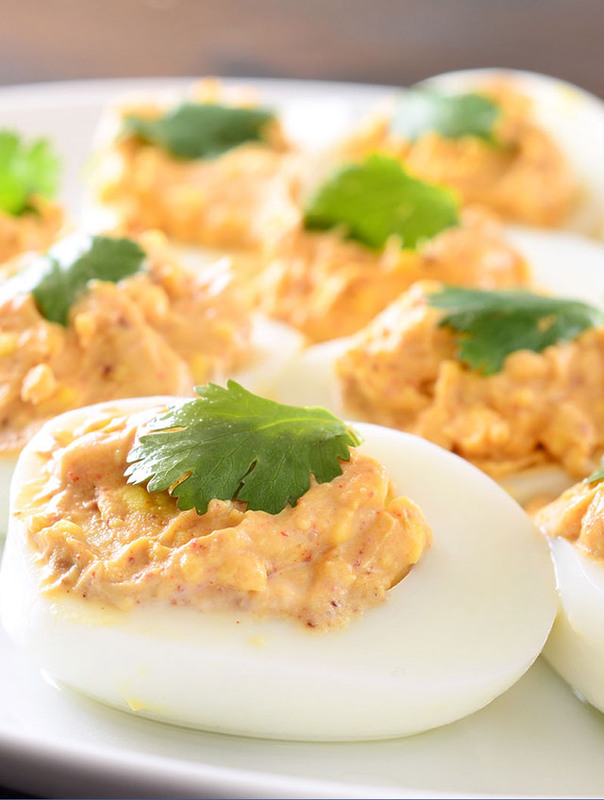 What great sandwiches!These are perfect for feeding a crowd or hosting a brunch! Breakfast just got a whole lot better!! These sliders are incredible! !